Landowners historically built low-water bridges to access both sides of a river when water levels were low. Many of these bridges were built by landowners themselves to serve immediate needs. 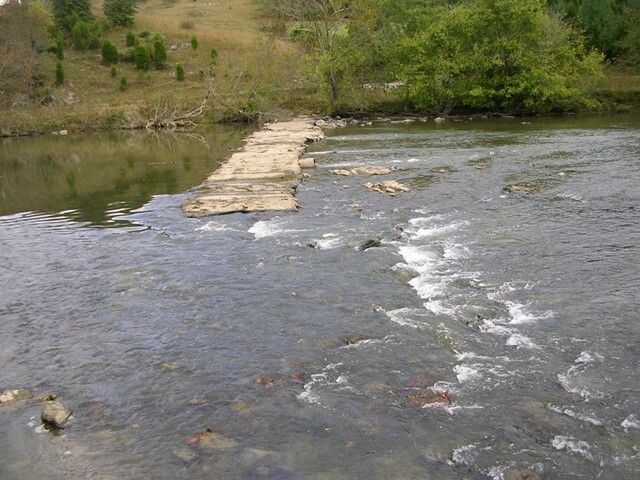 But…as low-water bridges age, they degrade and fill with debris underneath, creating pond-like situations upstream. These slow flows upstream accumulate too much fine sediment and, when levels rise, eat away at river banks–making problems for fish and for the landowner. In Scott County, Virginia, this situation arose. The 185-foot-long concrete Hart Ford low-water bridge was over a hundred years old, with dangerous cracks and with much debris blocking water flow. The river banks had retreated over 30 feet into the floodplain, creating a huge mess when rain increased. 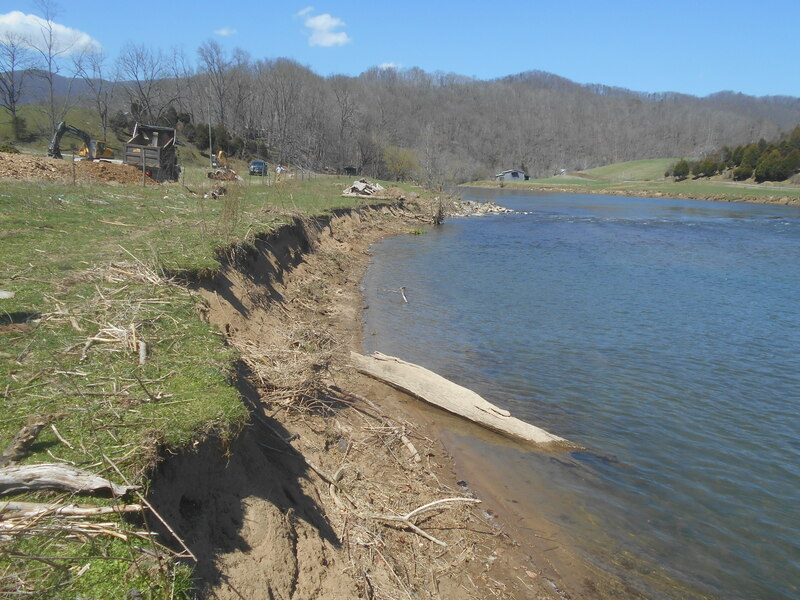 Our agency, the Virginia Department of Game and Inland Fisheries, the Upper Tennessee River Roundtable and a local non-profit stepped up to offer the landowner help. The area, which is in the North Fork Holston River watershed, is a conservation priority for us. The watershed is in the Upper Tennessee River Basin and is home to 15 kinds of threatened and endangered freshwater mussels and three threatened types of fish–the slender chub, spotfin chub and yellowfin madtom. The plan? To remove the Hart Ford low-water bridge and restore the river both in-stream and along the banks. The results would benefit the river wildlife and the landowner. In April 2015, the bridge was removed! Partners brought in rootwads and large woody debris to grade and stabilize about 500 feet of riverbank, and we also stabilized an additional 150 feet of tributary ditches along the farm access road. We planted nearly two acres of native trees and shrubs, and installed livestock exclusion fencing to protect the restored riverbanks. All in all, we opened up 6 miles of the river for fish, and specifically restored instream habitat for 1/5 mile! 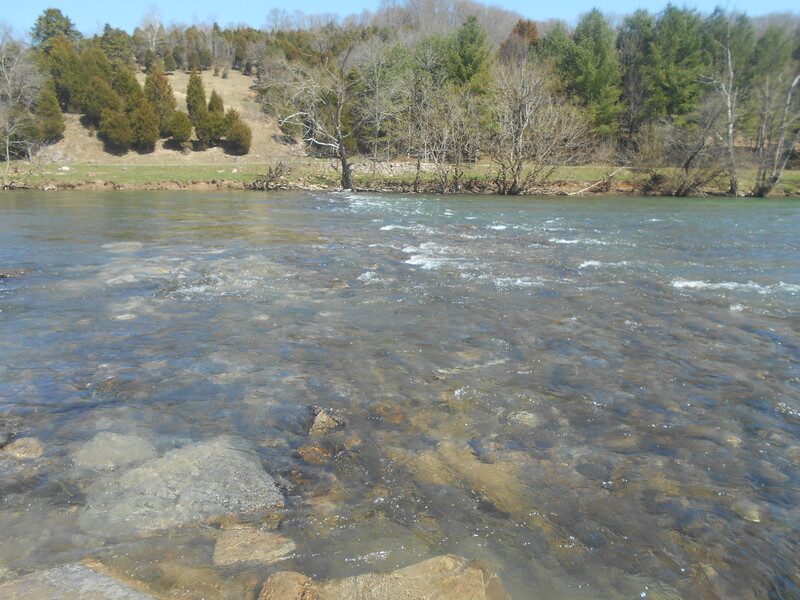 This entry was posted in Blog entries, Endangered Species, Fisheries, Habitat restoration, Partnerships and tagged fish passage, freshwater mussels, north fork holston river, stream restoration, upper tennessee river basin, Virginia, virginia department of game and inland fisheries on December 14, 2015 by usfwsnortheastblog.